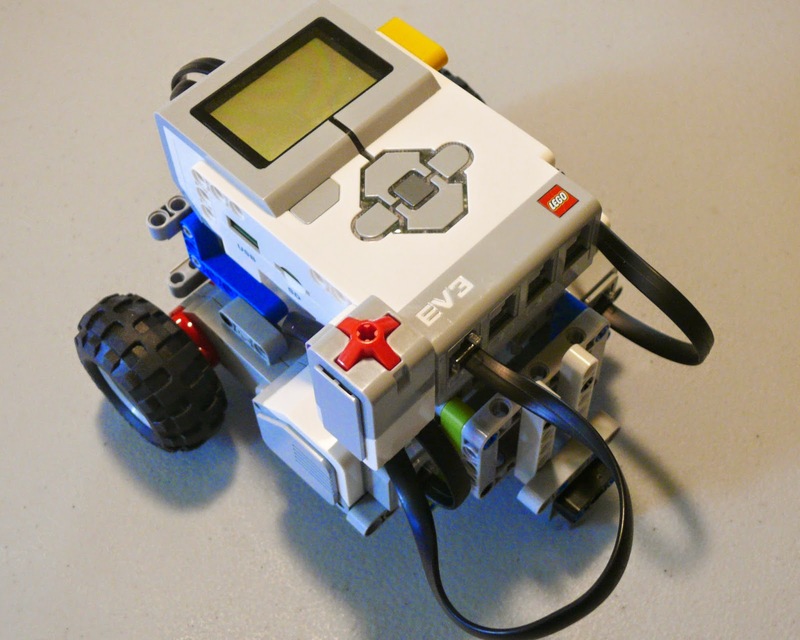 The FIRST LEGO League 2014-2015 World Class Learning Unleashed challenge is upon us and some teams will be using the Mindstorms EV3 kit. 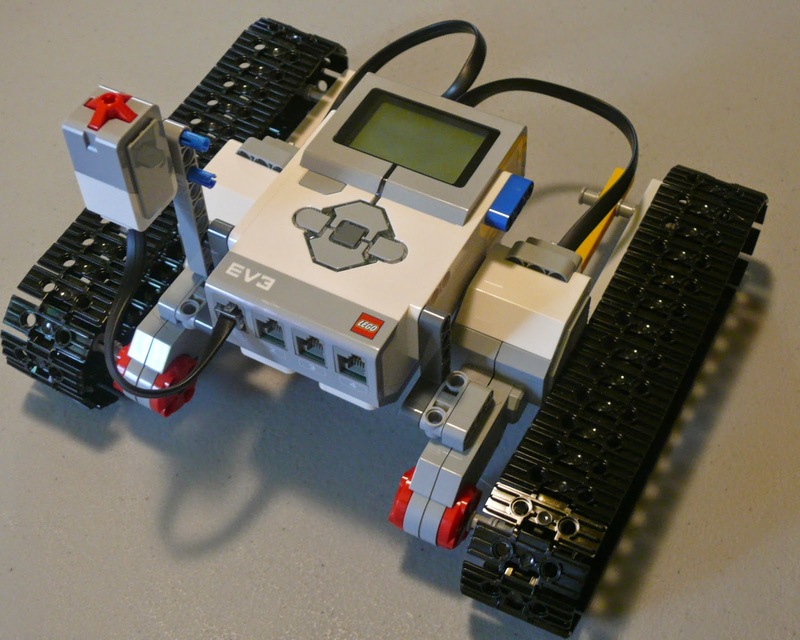 With the Mindstorms EV3 Educational kit comes Tracks and you can also purchase from LEGO Education Rubber Studs that can be inserted into the tracks. 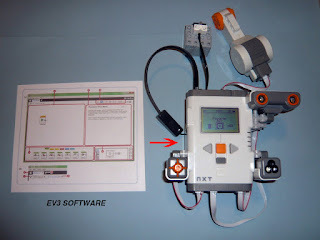 If you have Retail Mindstorms EV3 kit you can purchase both Tracks and the Rubber Studs at legoeducation.com . Now, the question may arise, what is best to use on this year’s smooth field mat – Tires, Tracks, or Tracks with Rubber Studs???? The first three tests were with a robot with 2.125 balloon tires (we used the Pivot Ball as the third wheel). 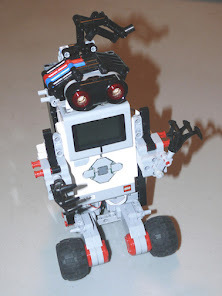 The robot was programmed to move forward 4 rotations with the Move Steering block and with powers at 50, 75, and 100; the performance was excellent. The moving backwards with Move Steering and the results are powers at 50 and 75 the tires are excellent. however, at 100 power it was very good; there seem to be a little friction. We tested turning forward and with powers 50, 75, and 100; turning was excellent. The second three tests with the 2.125 balloon tires using the Move Tank block, the results were exactly the same. 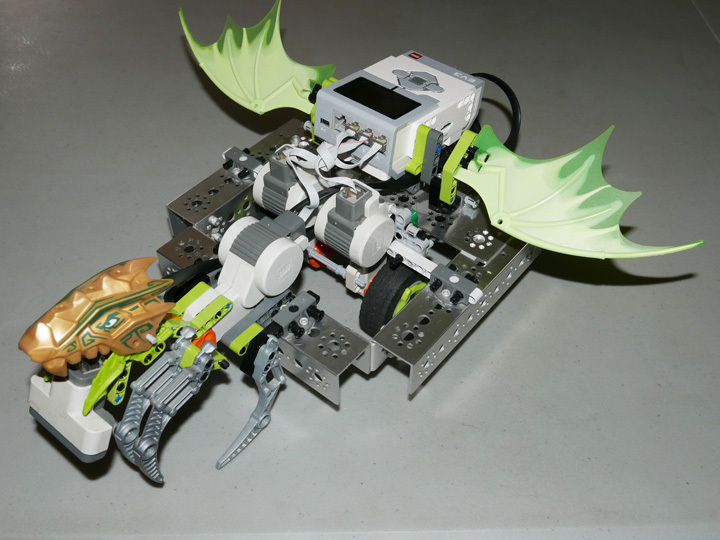 In the first three tests using tracks; moving forward with Move Steering at a power of 50; the tracks the performance of the robot was very good on this power. Then we ran the test again with power, 75; the result was also very good. The last power was 100 and the result was poor, indicating slight slippage and reduce speed. The moving backward with Move Steering results at 50 and 75 power were very good, but again 100 power was poor. Turning with the Move Steering block, with 50, 75, 100 power gave a fair performance. 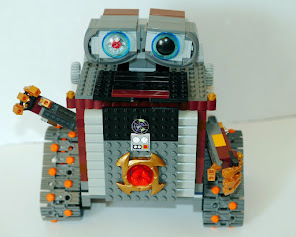 The second three tests using the tracks and programming with the Move Tank block and turning produced the same results as with the Move Steering block with tracks. Next we added Rubber Studs to the Tracks. The first three tests using Tracks with Rubber Studs, moving forward with the Move Steering block, at the power of 50; although the traction is good, the performance was fair in relation to the speed of the robot. We then ran the test again with next power of 75; the result was also fair. The last power was 100 and the result was fair too. Moving backwards with Move Steering, the results at speeds of 50, 75, and 100 was fair. Turning using the Move Steering block, at 50, 75, and 100 were also fair. The second series of tests with Tracks and Rubber Studs; moving forward, backwards, and turning revealed the same results as with the Move Steering block. Note: traction was “bumpy,” but very good using Tracks with Rubber Studs, but very slow even at 100 power.